Instagram model @sineadmcnamara was found unconscious on a $190 million superyacht in Greece had phoned her mother and brother in tears before her death. The Australian instagram model found hanged off the back of a billionaire’s super yacht had called her family in tears just hours before she died, it was revealed today. 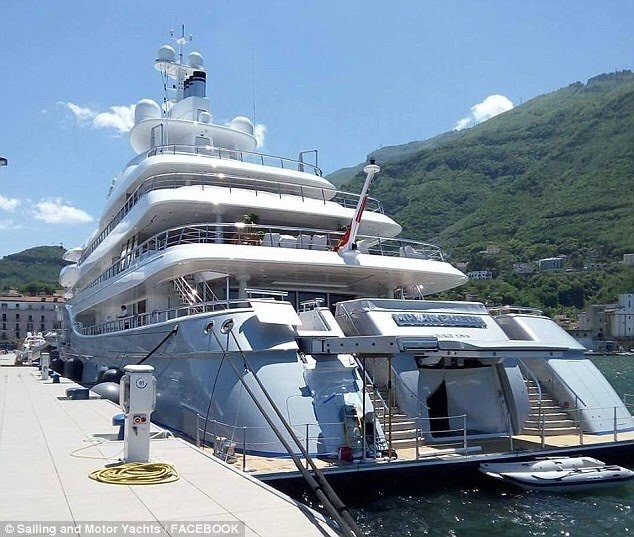 Sinead McNamara, 20, rang mum Kylie to tell her about an incident with another crew member on board the $190 million Mayan Queen IV, which was docked in Argostoli on the Greek island of Kefalonia. She also spoke to her brother Jake during her last anguished phone call in the early hours of last Friday, shortly before her body was discovered, the family’s lawyer Charalampos Triantafyllopoulos revealed. Prior to that, the family claim Sinead had been happy and enjoying her work as a stewardess on the six-storey yacht, which is owned by Mexican billionaire Alberto Baillères. Her mother and sister, Lauren Carr, were on route to Kefalonia from their home in Australia when she died. They had been due to meet her the following day and are believed to have been informed of the news of her death while in transit. The family are now demanding answers as to why there was an apparent delay in airlifting her to a hospital in Athens. A doctor on board the yacht is understood to have tried to resuscitate her before she was taken to a hospital in Argostoli. She was there for several hours, Mr Triantafyllopoulos told Greek media, until a helicopter could transfer her to a private clinic in Athens. In a statement, he said: ‘The family expects the Greek authorities to respond to the causes and circumstances of her death and incidents that occurred just prior. ‘The deceased had telephoned her mother and brother shortly before the unfortunate incident under investigation. ‘She was crying and referred to an incident that took place on the yacht with another crew member. ‘The family state that Sinead was not having any problems, she often communicated with them and she was happy. In two days she will return to her family and her friends in Australia. ‘The parents believe it crucial to thoroughly investigate both the events and incidents that preceded the death of their 20-year-old daughter. ‘In addition, they are looking for the reasons for the long delay between the time of the unfortunate incident and Sinead’s transfer to an Athens hospital. ‘She had been unconscious for several hours in a comatose condition and every minute was critical to her life. Greek authorities have seized CCTV footage from the cameras on the yacht but at this stage believe her death to be suicide. The MailOnline revealed how just 24-hours before she died, Ms McNamara had enjoyed a ‘happy’ night out dancing and drinking with friends. 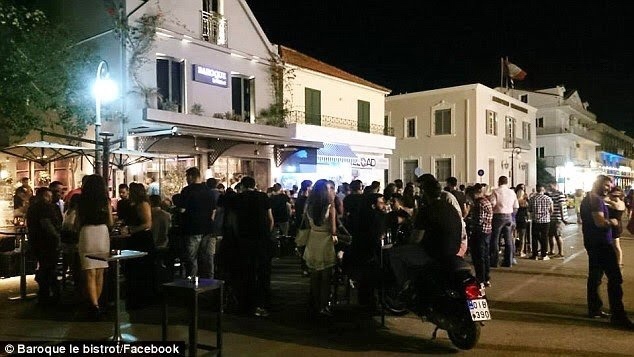 She visited the Baroque bar in Argostoli on Wednesday night and drank two vodka-based cocktails – one called Dragon’s Breath and another called Mango Mangave. Later in the evening she was seen dancing on a chair. Bar manager Makais Chaliodis said: ‘I saw the news and recognised her picture. ‘She had come to the bar with five of her friends on the Wednesday about 5.30pm. ‘She sat on one of the stools by the bar with two male friends and had two cocktails and a club sandwich. ‘One of her companions also bought a round of Tequilas but I don’t know if she had one. ‘They all seemed to be in high spirits and were happy. They were having a good time. ‘They left at 7.30pm but some of them, including the girl who died, came back at 1am. ‘The last time I saw her she had got up on one of the chairs and was dancing. Back on board the Mayan Queen, she was seen talking to a security guard about 15-minutes before she was found dead. Officers in Greece are reviewing photographs and messages found on her phone after some crew members told police that Sinead was struggling with a bad breakup. The news comes after it was revealed that Ms McNamara may have suffered a bad breakup in the days leading up to her death. Police are now reviewing photographs and messages found on her phone after some of her crew members told police she had recently split with her boyfriend, according to local media reports. The yacht’s CCTV cameras, which are believed to have captured her final moments, are also now a key part of the investigation. Ms McNamara is understood to have jumped overboard during the early hours of Friday, just minutes after an anguished conversation with a security guard. She was found unconscious at the back of the vessel at 1.45am. On Tuesday a coroner confirmed her cause of death was hanging, but said results of additional toxicology tests could take months to come back. However, a source at the Coastguard told MailOnline: ‘She was found at the back of the yacht attached to one of the mooring ropes. The coroner revealed he had advised Ms McNamara’s mother and sister against going to the morgue, saying they should not ‘see her (body) in such a bad state’. A captain of another luxury yacht docked alongside the Mayan Queen IV made the grisly discovery of Ms McNamara’s body. The captain, who asked not to be named,detailed how he tried desperately to save her life – but his efforts were ultimately in vain. After spotting her body the captain shouted out. But when he received no response, he began screaming for help. A police patrol passing Mayan Queen IV did not see the young woman’s body, he claimed. 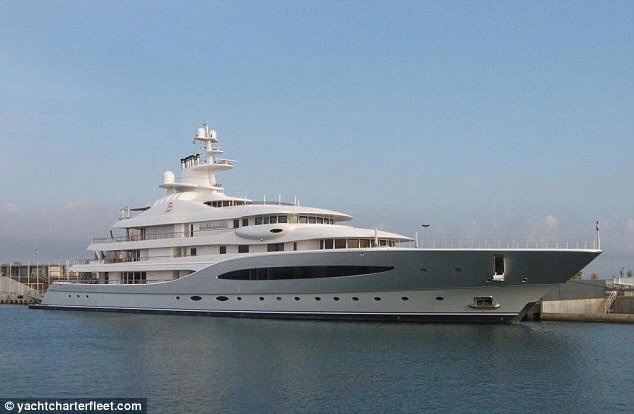 A doctor on-board the Mayan Queen IV then tried to resuscitate Ms McNamara for several minutes after being alerted. After falling into a coma she was airlifted to an Athens hospital, but died on the way. ‘We were actually celebrating at first because we thought she had been saved. It was later we heard she had died,’ the captain said. He said he was deeply affected by the incident. The Mayan Queen IV finally left the port on Sunday night after being detained by the local port authorities until the crime scene had been examined. All crew members – believed to total 23 – were reportedly onboard as it departed. 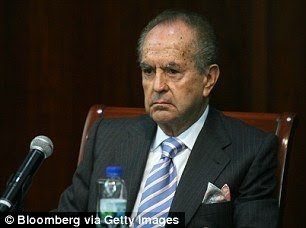 The boat’s owner Mr Bailleres, the chair of Mexico’s second-largest mining company, has an estimated worth of $9.6billion. Mr Bailleres was reportedly not on board the ship at the time of Ms McNamara’s death. Just two weeks before her death, the young model penned a cryptic Instagram post which takes on a tragic new meaning in light of her sudden passing. ‘My head is all over the shop today. Take me back to this where my only worry was not cracking my skull open,’ she wrote alongside a photo of herself on a quad bike. The Department of Foreign Affairs and Trade is offering support to the McNamara family. ‘The Department of Foreign Affairs and Trade is providing consular assistance to the family of an Australian who died in Greece,’ a spokeswoman said. 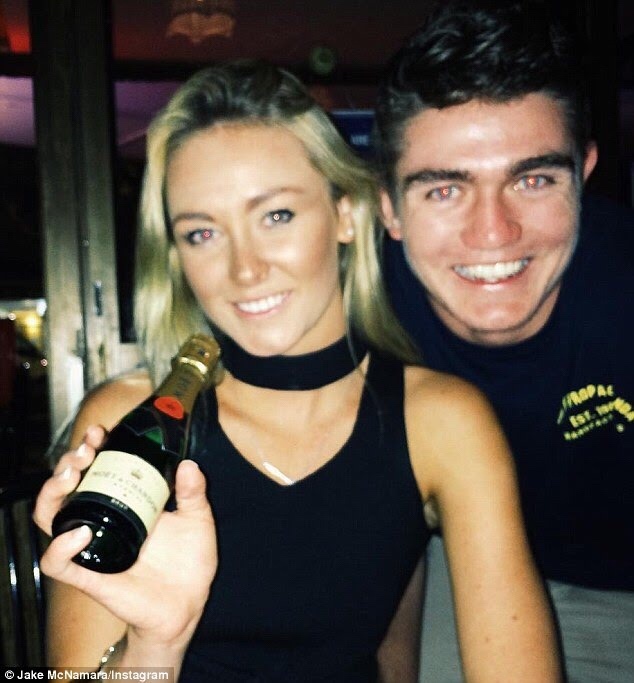 Jake McNamara, the brother of the social media influencer, confirmed her death on Saturday. ‘I have unfortunately received the worst news of my life, (Sinead) has passed away,’ Mr McNamara said. Ms McNamara was travelling in the seaside town of Pylos on the southwest coast of Greece. The 20-year-old was active on social media and loved adventure, travel and camping. Her final post has been inundated with love from her followers offering their condolences to her family and friends. Just four days ago, Ms McNamara said she was ‘jet skiing around the most beautiful turquoise water in the med,’ referring to the Mediterranean Sea. Ms McNamara posted on Facebook on Monday that she was excited to see ‘the most amazing big sister I could ever ask for’. Loved ones posted to Ms McNamara’s Facebook and Instagram accounts, sharing fond memories with the young Instagram model. Australian YouTuber Alex Hayes posted the heartbreaking news to his social media accounts. The social media star who has more than 650,000 followers on Instagram posted the news to his Instagram story.